You're cordially invited to Off the Wall! Our very own exhibit by Misión Grafica commemorating 36 years of screenprinting from renowned artists and students in our community. 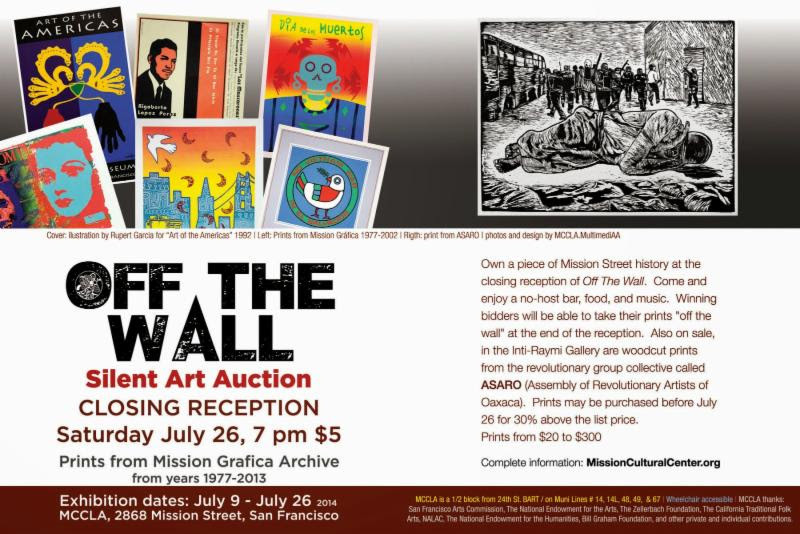 Come witness the history of the Mission, and take a piece of it home at our silent auction!